Over the weekend, I was delighted to find our Superhero Garland featured in YOU magazine in the Mail on Sunday. 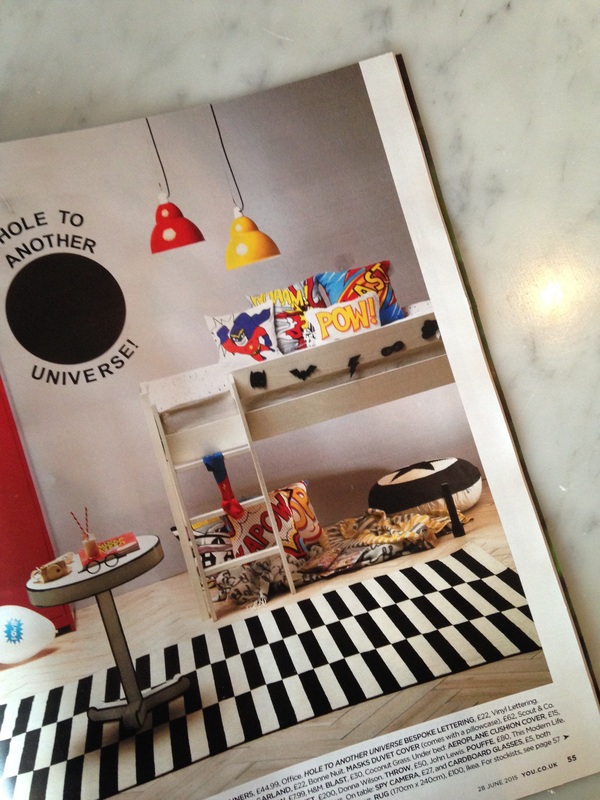 It was such a proud moment to see something I’ve made with my own hands featured in a national magazine amongst items from some of the most stylish children’s shops in the UK. 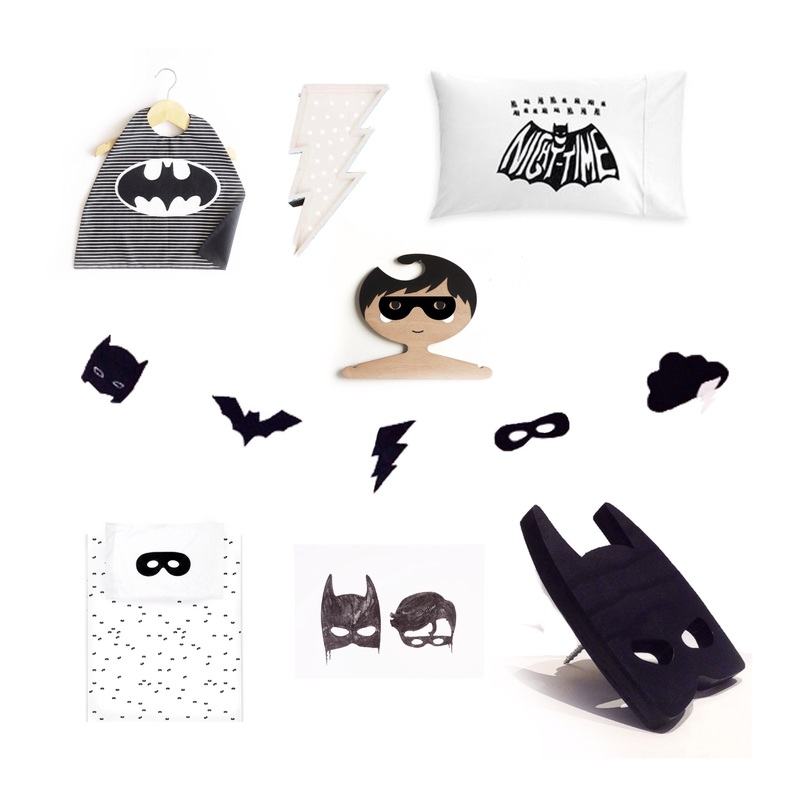 As a result, I brought together some of my favourite artisan Superhero decor items which can be found above. Top Left: Cape by Monty Tribe, Marquee light by Fromage at DecorBabyUk, Night Time pillowcase by Pop Factory at This Modern Life, Hanger by MyRedHandGang on Folksy, Garland by myself at Velveteen Babies on Etsy, Bedding set by BeauLoves, Print by Little POp Studios and wall hook from Retro Kids. 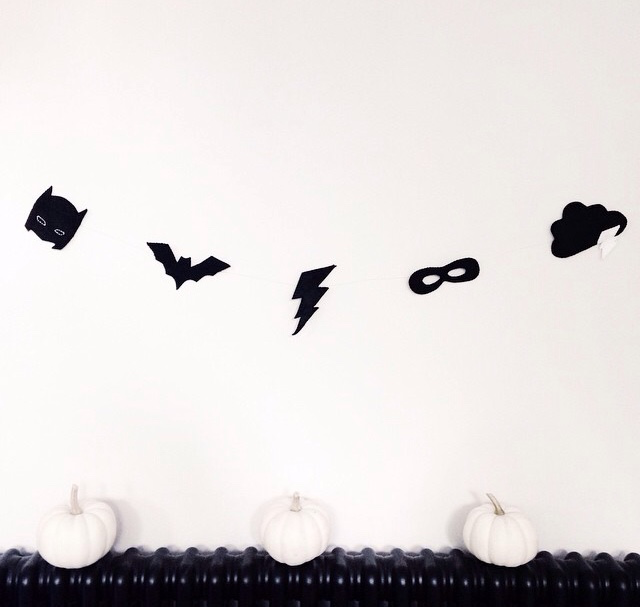 Spot our Superhero Garland in YOU magazine. 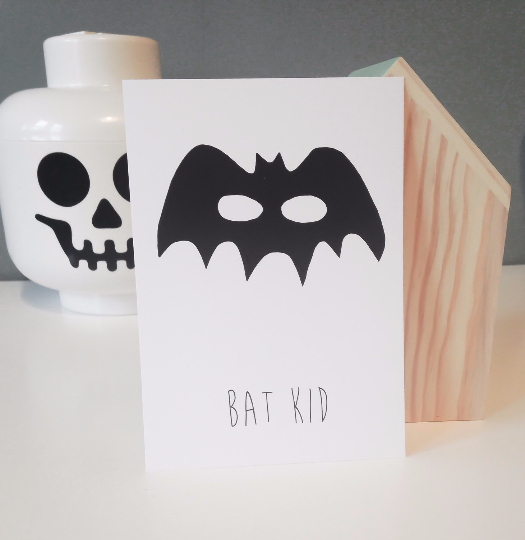 Bat Kid postcard professionally printed by Horner & Sons, Knaresborough.